The study that I am currently involved in is dedicated to the exploration of students’ perceptions towards the quality of online education. I employed a qualitative research methodology to gain understanding of how students perceive the quality of online courses from their own experiences. To collect the data for my study, I elaborated questions for semi-structured interview. In this post I would like to share my experience of conducting an interview for my study. 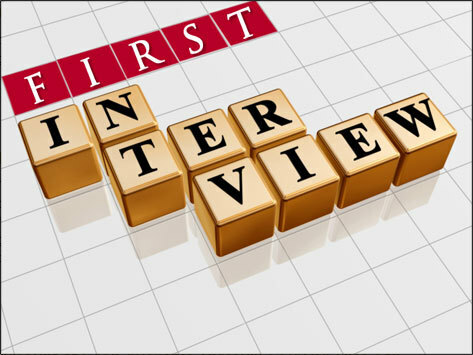 The first significant step in conducting the interview is compiling the appropriate questions that would help collect the information relevant to the research. For my research I designed ten open-ended questions that I thought were suitable to the study. To eliminate any ambiguous questions and ensure logical sequence of them, I tested the questions on one of my friends. After mock interview, I made a conclusion that some of the questions were too general and narrow, and required some specific knowledge from the participant, therefore, it was decided to change some of the questions and make the sequence of questions more coherent. Next step that I had to do was to schedule an interview time with a potential participant. I asked two of my NUGSE groupmates to participate in the study, explained the purpose of it and informed about confidentiality and anonymity that I guarantee during this study. However, the most challenging thing was actually to find the best time to meet and conduct interview. Both participants were busy during the day and we had to schedule the interview after the studies. Conducting an interview is a new experience for me. It was the first time that I did it for research purposes. I did not know that many details should be taken into consideration when planning an interview. Now I know that I have to find a room where no noise would distract from the process. Secondly, it is better to record the interview as taking notes is not convenient for the interviewer. If you are recoding somebody’s answer, a recording device should have a good quality. In my case I used a mobile phone, however, the recorded sound was not very loud. Besides, it is obvious that the participants do not always feel comfortable being recorded. So, this also might be a challenge during the interview. I think that I will now thoroughly plan for the interview for my thesis. I already decided to buy a special dictaphone for this purpose. This mini-research also gave me a clear idea of how important it is to create good questions for the interview. In conclusion, I would like to state that semi-structured interview is very convenient instrument when you want to know personal experiences and perspectives of people. It is also advantageous because during the interview you can ask specific questions that would help you better understand the study. Flipped classroom – delivering instruction outside the classroom. Once I was invited to an interesting workshop conducted by one of my colleagues in NIS Aktobe. My colleague was talking about one new technology that he was using in his classroom. It was called Flipped classroom. The idea was that he no longer dedicated time in the classroom for explanation of new topics and lectures. Instead, he recorded tutorial videos for his students where he explained the topic. Students were able to access the video at any convenient time and learn the material at their own pace. Time in the classroom then was dedicated to active learning though organizing different activities, projects and discussions on the concepts covered in the videos. I got very interested in this educational model and decided to find out more about it. According to educational site Educause, flipped classroom is used widely by the teachers around the world because it has many positive effects. First of all, students are given opportunities to use the video or other pre-recorded material more than once and therefore, reflect on what has been said and grasp the concept deeply. It really addresses the individual learning styles that students have. Secondly, traditional classroom is substituted by the classroom where main emphasis is given to hands-on activities, laboratory work, collaboration, creative work, open discussions, problem-solving tasks. Students are given constant feedback and teacher can check how well the students understand the concepts and can apply those concepts. Thirdly, both students and a teacher have changed their role in Flipped classroom. The teacher performs a role of a guide and facilitator rather than a lecturer. The students are no longer passive participants, they have to actively engage in their own learning and be able not just cover the content but master the concepts through active involvement. This helps students feel more responsibility for their own learning. It should be clearly understood that for Flipped classroom to be effective, a teacher has to prepare carefully. The teacher should make sure that recorded videos would really help students understand the concepts and then classroom activities would really help integrate the knowledge. This requires more time for planning from the part of a teacher. In conclusion, this idea can be widely used in the upper classes for all the subjects to make the education process more effective and to shift focus from lecture-type classroom to interactive classroom. It never ceases to amaze me that there are so many things I do not know. The more I learn about the new subject, the more I understand that I do not know it. Another new discovery has happened to me recently. This week I have been working on a literature review for my thesis. My understanding of the literature review was rather shallow one as I thought that I had only to cite what other scholars have already written on the topic and that is it. This type of misconception about the literature review process made the whole process really challenging. To overcome those challenges I have searched for information about literature review and watched tutorials on literature review. In this post I will describe challenges I encountered and some advice to overcome those challenges. The first challenged was to find a credible source. When you type the key words of your thesis or paper, Google will give you tons of results. However, it does not necessarily mean that every result will be helpful to your studies. One should clearly understand that in academic writing you will need scholarly peer-reviewed articles, books, journals, research reports that have strong weight in academic world. Second challenge was to find a relevant source to my particular study. One cannot cite everything that is found on the topic. Literature review is not a summary of everything that has been written on the topic. It is actually a thorough and critical analysis of existing literature that will help understand the topic better and choose literature that is relevant to the topic of research. Through literature review a researcher shows how previous research findings can be integrated to his or her studies, what concepts and trends can be defined in the topic, how similar and different findings of different research are, what possible strengths and weaknesses they have, what gap exists in research, etc. Final challenge relates to inability to make a clear organizational structure of the literature review. When you have a large amount of resources, it might become difficult to tackle all that information. I consider that having a mind map might help to make the process of literature review easier and more organized. To sum up, it turns out that literature review is one of the hardest part of any research. I think that it is both challenging for a beginning researcher as well as for a mature academician. The quality of any paper fully depends on the quality of the literature review you have done. Therefore, much attention and effort should be given to the literature review process. APA style has recently become an important part of my life. Whatever I write, I always try to concentrate on correct citing and formatting because I understand that this is a crucial element of any piece of writing, especially an academic one. I wish I had learnt about APA or any other style before, I could have been more experienced and skillful in using it now. But unfortunately, no teacher at my first university has ever attempted to inform us about importance of citing and formatting. I as a student had no idea about its existence. I lived unaware until one day. That day was when I started teaching a course on Global perspective and project work at Nazarbayev Intellectual school. Then was the first time I understood that proper citation and format was an essential part of any academic writing and that it was my duty as a teacher to explain how to use it to my students. As this topic was not very familiar for myself, I had to study different tutorials and manuals on how to use citing and formatting in APA style properly. In this regard, the Internet site http://www.apastyle.org/ was very helpful for me to understand the generic rules on how to make in-text citations and compile a reference list. More deep understanding of an APA style came to me when I became a student at Nazarbayev University. I had to study thoroughly the manuals again. However, sometimes it is still a challenge for me to use APA style when I have to complete a final paper or write a post. The first difficulty is to make in-text citations, especially when there is more than one author or the author is unknown. Second difficulty is to have correct formatting of the paper. This happens because I do not remember all the rules I have to follow. And finally, it is challenging to make a reference list by yourself, therefore, I always use a citation machine for this purpose. I think that reading manuals and watching tutorials as well as analyzing the sample papers helped me a lot to understand how to use APA style. Therefore, I advice current and future students to learn the basics about APA and always practice using it. 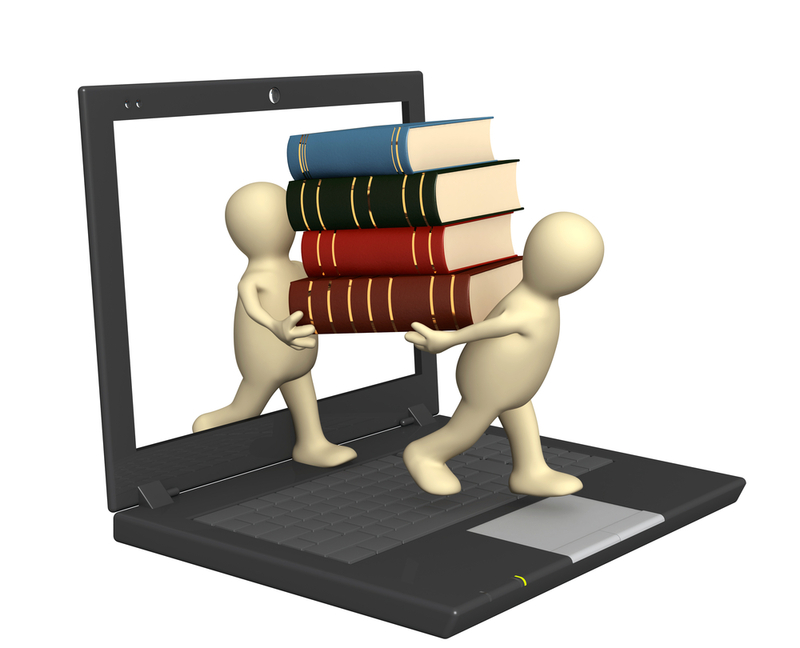 Online education has become extremely popular in the world over the last decade. A great variety of online programmes are offered not only by virtual educational platforms but also by most highly recognized universities and colleges in the world. Different scholars are researching the issue of online learning and have arguments about the advantages and disadvantages of online learning as well as its impact on education generally. The report about online learning that I have read is called “ Changing course: Ten years of tracking online education in the United States” (Allen & Seaman,2013). This report presents the findings of the ten-year study of the state of online learning in the sphere of higher education in the USA. The aim of the study was to answer general questions about the nature and extent of online education. Based on the responses of more than 2800 colleges and universities, the study addressed the issue of Massive Open Online Courses (MOOCs), strategic nature of online education for the universities, number of online students, changes that happen to the faculty members, comparison of online and face-to-face education outcomes, barriers to establishing online education widely. The major findings of the report state that MOOCs is becoming more popular and this popularity will continue to grow in future as the number of students enrolling in online courses increases. This tendency has made the top world university consider establishing online education strategic to them, thus “69.1% of higher education institutions consider that online learning is critical to their long-term strategy” (Allen & Seaman, 2013, p.4). At the same time the report announces certain barriers to widespread adoption of online learning. The main concerns are the quality of online education, additional time and effort that the faculty members have to spend, high rates of drop-outs from the courses and potential lack of acceptance of online education by potential employers (Allen & Seaman, 2013). The first report also touched upon an issue of the changing nature of teaching and how those changes influenced the faculty members. Teachers involved in providing online courses had to adapt their methodology and teaching practices to the new reality. A paper “From face-to-face teaching to online teaching: pedagogical transition” (Redmond, 2011) presents a case study and describes how the pedagogical practice as well as perceptions and perspectives on online education of two teachers have changed over a period of time. Transition from face-to-face instruction to online one has been met with a high degree of resistance by the faculty members. Their initial perception of the online education was very skeptical one. Apart from that, they were struggling with instructor’s changing role and integration of ICT into teaching. Redefining of a professional identity took much time. However, eventually they found new pedagogical approaches suitable for online environment, changed ways of interacting with students and learnt how to integrate ICT into their practice (Redmond, 2011). The conclusion of the paper states that the teachers saw benefits of the online programmes and had accepted the effectiveness of online teaching and learning (Redmond, 2011). Having read several articles and reports on online education, I came to the conclusion that advantages of online education outnumber the disadvantages. Among the positive aspects of online education I personally underline an opportunity to complete the course in any location at any time, reduction of travel time and cost on accommodation, transportation, etc, an opportunity to have your own pace of learning and access to most recognized world universities. I consider that online education will only increase in popularity and will become a crucial part of educational system generally. I have been interested in studying collaboration among teachers for several years. My interest increased after having the course on professional identity as during the course we studied different scholars’ perspectives on collaboration and the impact it has on school development. I especially liked “What’s worth fighting for out there” by Michael Fullan and Andy Hargreaves. I personally consider this topic to be crucial to all the teachers, school leaders and even policy makers. Teachers often work in isolation in their classrooms with little collaboration or sharing of ideas or strategies with other teachers or administrators. They keep to themselves and are shielded in privacy in their classrooms (DuFour, 2011). Fullan and Hargreaves (1992) call teaching a “lonely profession”. Hargreaves and Wignall (1989) consider that privatism is a habit historically developed in teachers. Such situations can lead to stagnation in school development. Lortie (1975) considers that isolation in teaching lead to “conservatism and resistance to innovation in teaching”. However, collaboration at school is very important. Because pure collaborative culture can lead to the school improvement at all stages. DuFour and Mattos (2013) state that “the most powerful strategy for improving both teaching and learning is by creating the collaborative culture and collective responsibility of a professional learning community” (p.36). The administration of the school where I am going to conduct a research established a schedule of collaborative planning. However, the notion “collaboration” at that school is not clear for both the teachers and administrators. Regarding this, I would like to study the perceptions of teachers on collaboration . I want to understand how primary teachers of that school perceive collaboration and how those perceptions influence on establishing collaborative culture at school. I consider that the findings of the study will influence on the school where the research will be conducted as it might help establishing collaborative culture in the school. The administration of the school might benefit because they are interested in developing collaborative culture at school. The teachers might also benefit because collaboration would create a collegial atmosphere in the school where teachers could share their values, beliefs as well as frustrations. I hope that the research will contribute to the existing knowledge about establishing collaborative culture in Kazakhstani schools. How will this year be different, harder, easier, etc? One major challenge that existed during my first year of study was to manage to do both work and studies. As many of my groupmates I had so many sleepless nights to meet the deadlines. However, I learned how to plan my time appropriately to fulfill both responsibilities at work and at the university. Another challenge was to understand the concepts that we studied and then to apply those concepts in the papers that we were supposed to write. Finally, it was sometimes hard with academic English. It turned out that I lack some knowledge of the academic style of writing and academic vocabulary. I hope that this year I will have a better time-management as I have already had elaborated some personal strategies. However, I am sure that this year will be more intense as apart from doing several assignments on the studied courses, we will have to concentrate on our thesis. DuFour, R., & Mattos, M. (2013). How do principals really improve schools? The Principalship, 70(7), 34-40. Fullan, M., & Hargreaves, A. (1992). What’s worth fighting for in your school? Berkshire, England: Open University Press. Hargreaves, A. and Wignall, R (1989). Time for the teacher: A study of Collegial Relations and Preparation Time Use. Toronto: Ontario Institute For Studies in Education. Lortie, D. (1975). School Teacher: A Sociological Study. Chicago: University of Chicago Press.